Radiant cut white sapphire – .75 ct. The band is a REAL TWIG set in 14k recycled gold. 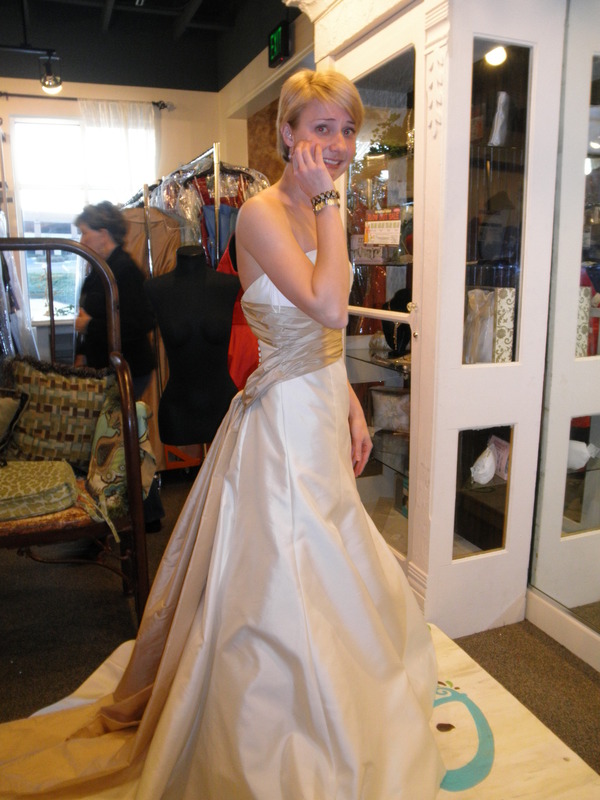 It’s only $785 too! Click on the image to go to the seller’s site. Classic brilliant cut diamond with a pave setting and pave wedding band. The groom MADE his ring. Whoa. 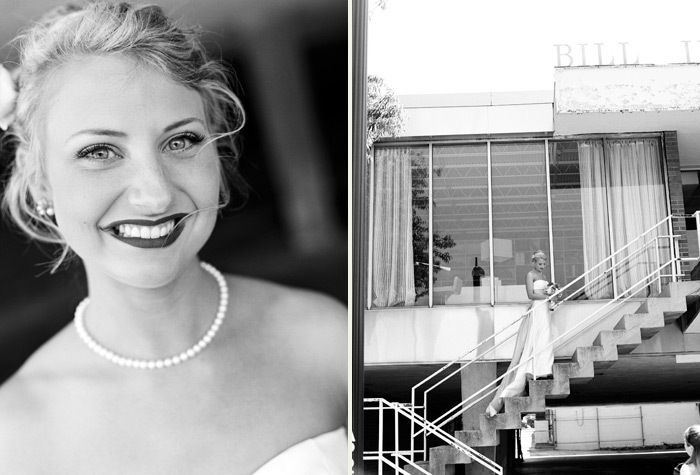 And the bride’s rings are custom by a place called Virtu in Chicago. I love this band. Love. This. Band. $1,920 for 22k gold. Gorgeous ring. I couldn’t find the image source! This is a classic setting with a contemporary twist, set in rose gold. Love! Bezel set brilliant cut diamond flanked by two round sapphires. I love the bezel set diamond wedding band too. This is so unique and gorgeous! Gorgeous pink engagement ring. I’m not sure what this stone is, but I love the color of it against yellow and gold and diamonds. Stunning. Cushion cut diamond flanked by a trilliant cut diamond on each side with a brilliant cut infinity band. OH MY GUH. Antique style engagement ring. 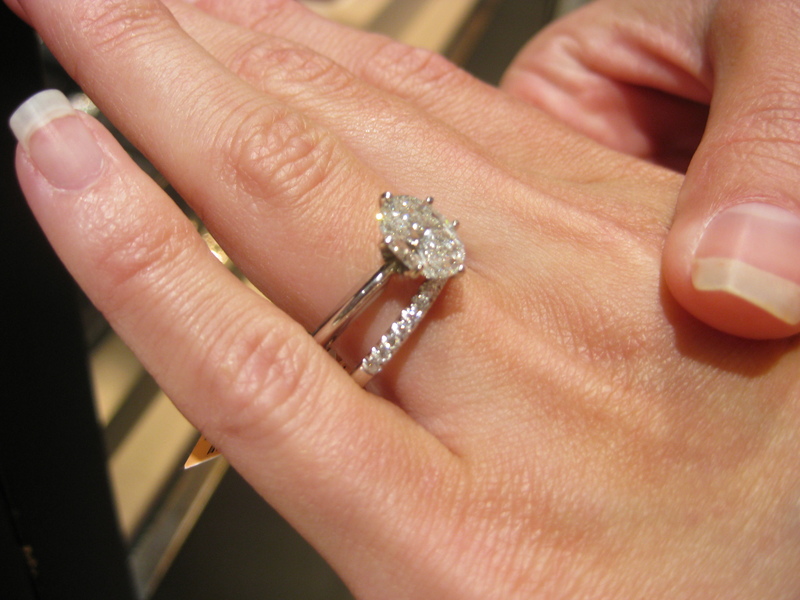 Lots of brilliant cut diamonds = expensive! Classic and stunning. I have NO idea what this cut is. It’s similar to emerald but much more facets.. Such a unique and beautiful 3 stone ring. 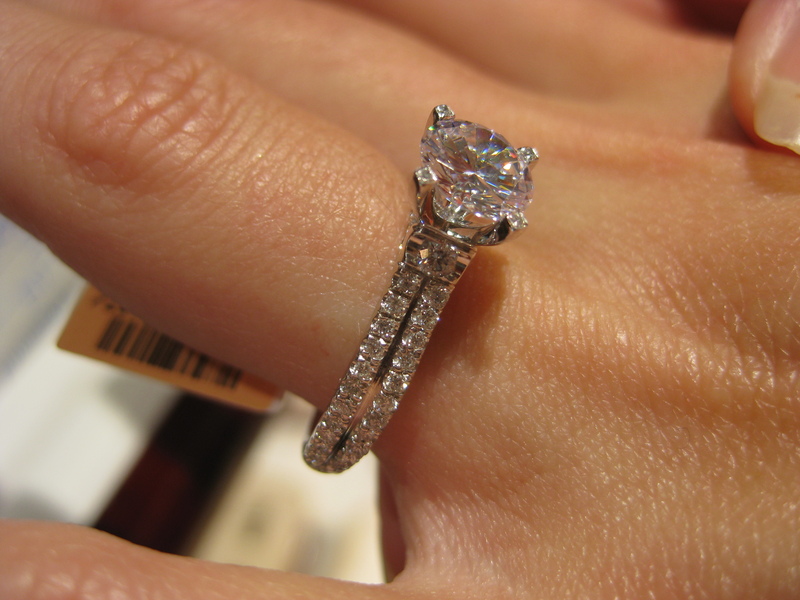 I’m in love with the proportions of the side diamonds to the center stone. This is so beautiful! 3 stone brilliant cut diamonds surrounded by pave diamonds. I saved the best for last 🙂 3 pear shape diamonds. I love how the side pears are turned sideways. So unique and blingy! 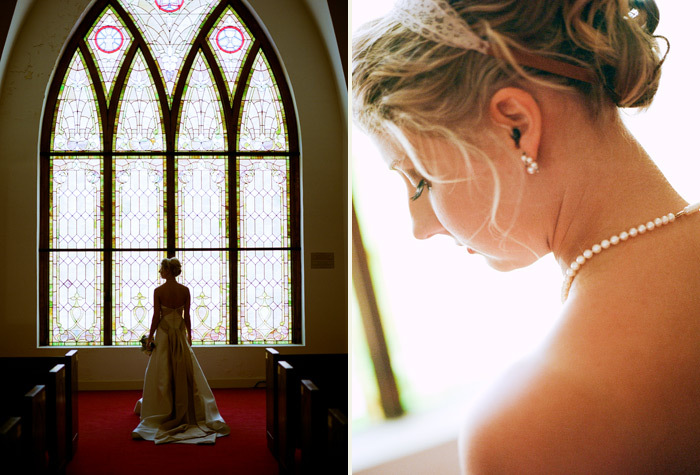 These are just some of my favorites from my pinterest boards. Trust me, there are many many more! 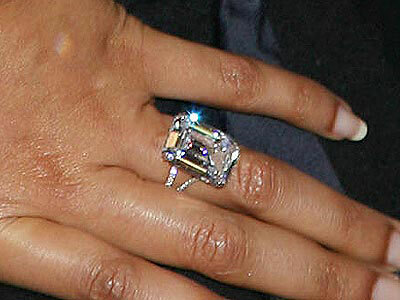 We all know that celeb engagement rings come in all shapes and colors, but mostly very big sizes. 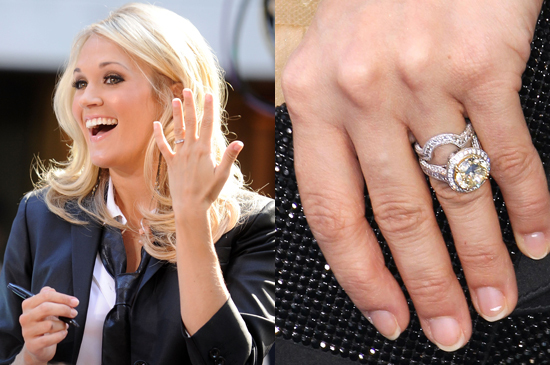 I have always loved keeping up with celeb rings, especially since I got ‘wedding fever’ a couple years ago. It’s pretty obscene how big and gaudy they get, but hey, if you have the money, why the hell not. I personally believe in investing in a big and beautiful rock for a few reasons. 1. It’s a token of love, it should last forever and be special! 2. It’s an asset. It won’t depreciate in value, and in fact, rings often appraise for more than what you pay if you shop smart. 3. 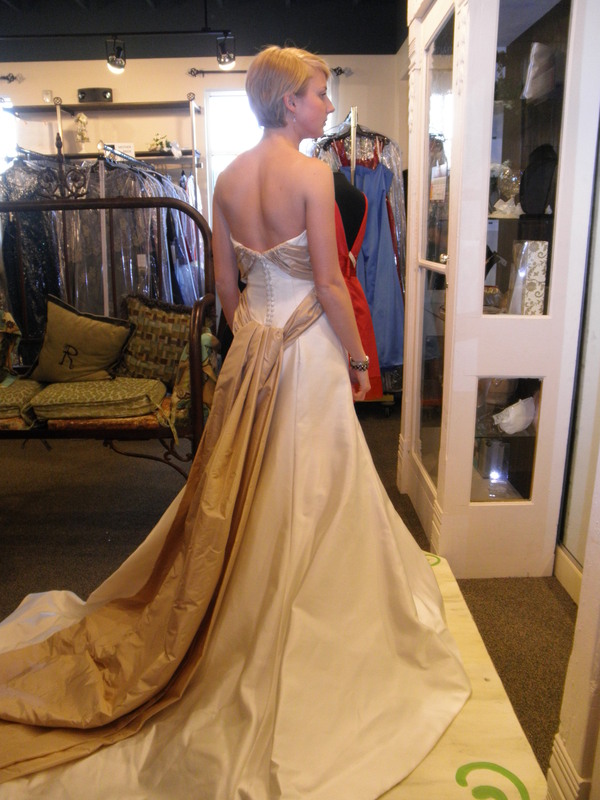 It’s a family heirloom – you can pass it down to generations and it can always stay in the family. Colored stones can be fun and unique. I wanted a diamond, but colored stones are becoming much more prevalent nowadays. The nice thing about them is that you can get a stone other than a diamond, which means more carats for less cost! Jeweler – Johnathon Arndt Flawless yellow diamond estimated at 5+ carats worth around $150,000. 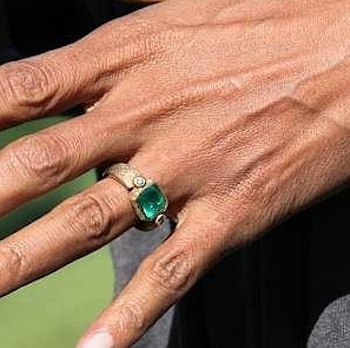 As far as celeb rings go, I think this is tasteful and beautiful. 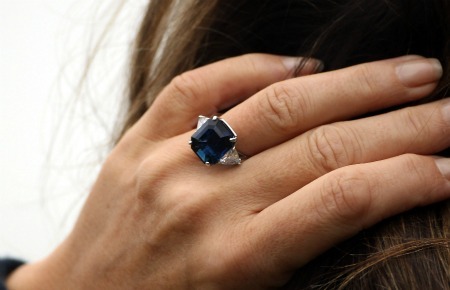 Elizabeth Hurley’s blue sapphire flanked by two approx. 2 carat trapezoid cut side diamonds set in platinum estimated at $100,000. Stunning! 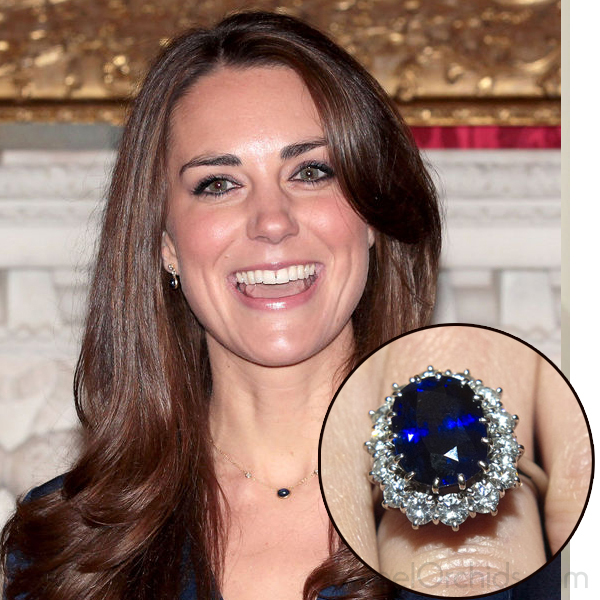 18 ct sapphire oval surrounded by 14 white diamonds designed by Garrand estimated at $65,000. 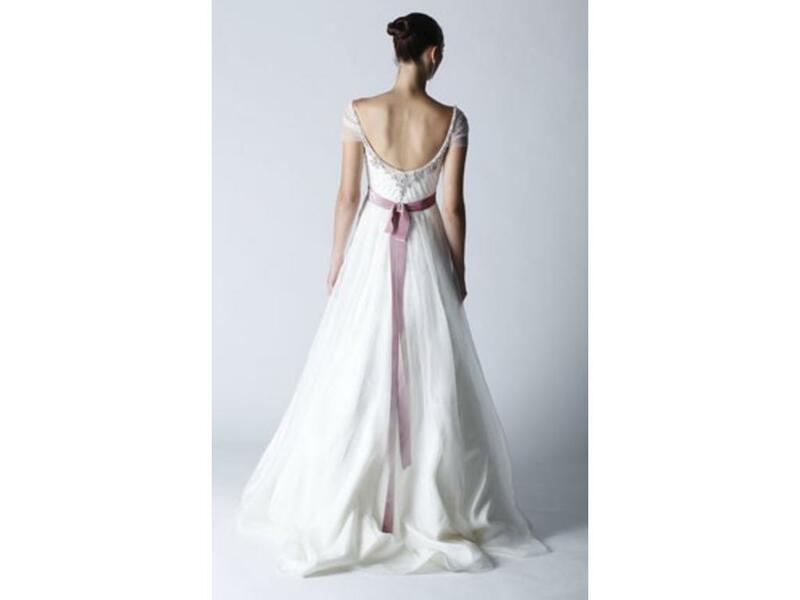 Timeless and elegant. Halle Berry’s 4 carat emerald set in yellow gold, designed by Robert Mazio. I love how unique this is! I love pave. Lots and lots of pave. Some of these are pave, but not all of them. 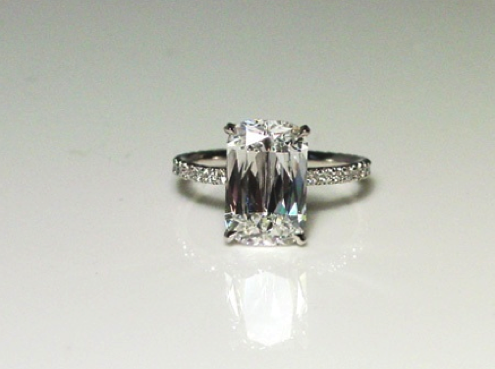 4 carat center stone flanked by trapezoid diamonds designed by Bader and Garrin. Estimated worth $125,000. 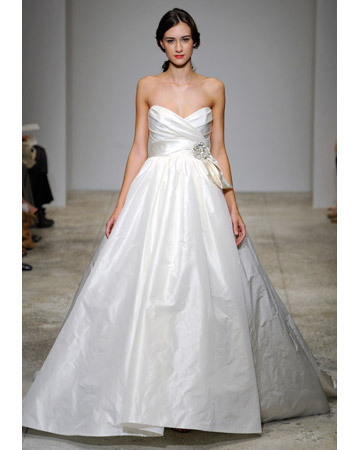 Molly Sim’s approx 6 carat cushion cut designed by Diana Von Furstenberg. SO gorgeous! 3 carat pear diamond surrounded by a pave setting set in platinum. Pear is one of my favorite cuts, unique and elegant. 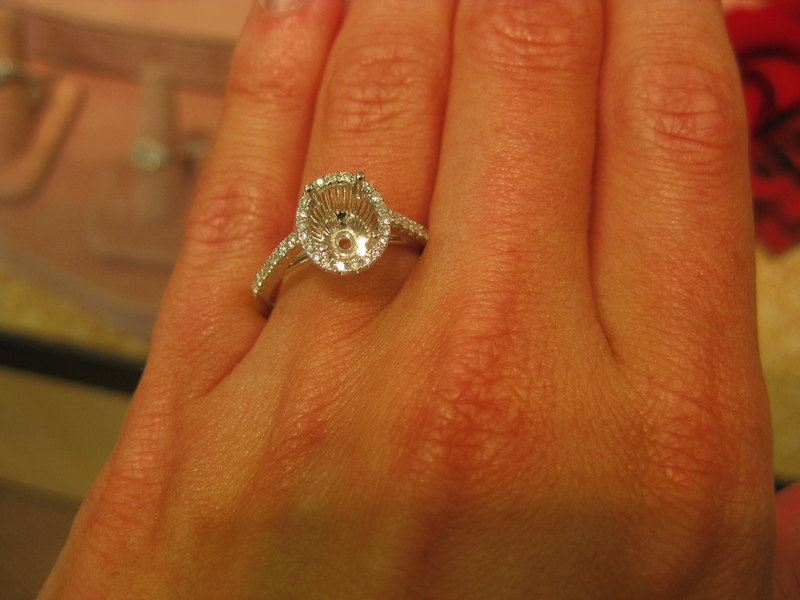 Nicole Richie’s 4 carat brilliant cut center stone surrounded by a pave diamond setting designed by Neil Lane. Mariah Carey’s 10 ct center stone surrounded by 58 pink diamonds and 2 half-moon diamonds, totaling 17 carats. Designed by Jacob and Company and estimated to be worth $2.5 million Talk about big spending! Cathy Waterman engagement ring. Some sources say it’s a ‘rustic diamond’ others say it’s a moonstone. Estimated 1.5 carats. Totally unique, and totally Anna Paquin! Asscher cut diamond set in a micropave frame with a double band. I love this ring! Almost as much as Heidi’s. 5 carat oval cut diamond set in platinum and rose gold. Estimated worth – $250,000. It’s no secret ovals are a personal fave 🙂 My favorite element of this ring is the subtle inclusion of rose gold. 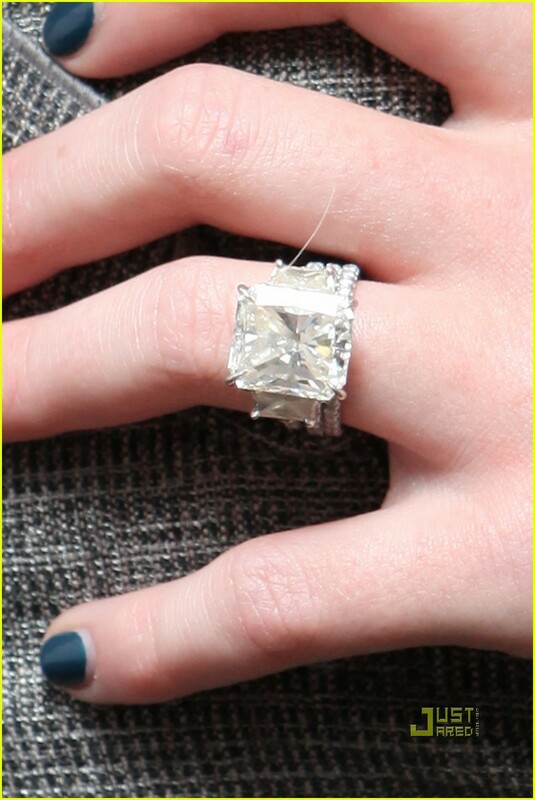 Hillary Duff’s 14 carat radiant cut diamond is estimated to be worth $1 million. Whoa. 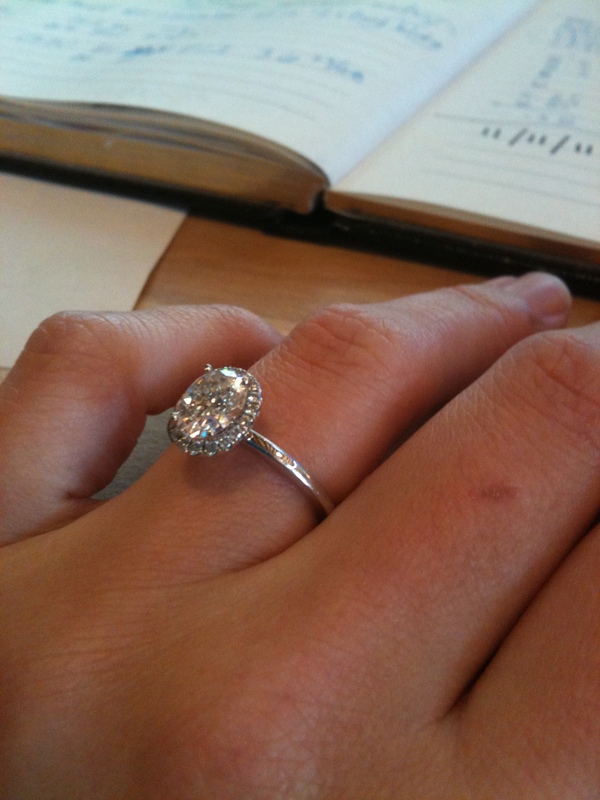 Britney Spear’s 3 carat brilliant cut Neil Lane in a pave setting. A very timeless ring! Well if you were wondering if Jay-Z is rich… Beyonce’s 18 carat flawless emerald diamond set in a split shank pave setting. Worth $5 million!!! I love the dainty setting contrasting the massive rock. Angelina Jolie’s elongated tablet diamond flanked by the same shape stone graduating in size. Designed by Robert Procop with Brad Pitt’s help. Not a huge fan, honestly. 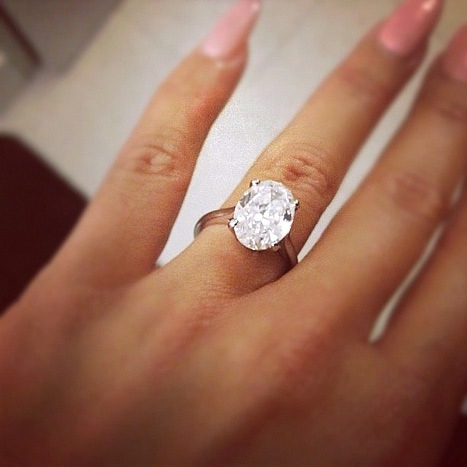 Amber Rose’s Oval cut solitaire. One site said it’s set in rose gold – but I’m not sure about that. It’s a gorgeous and simple ring and I LOVE it! 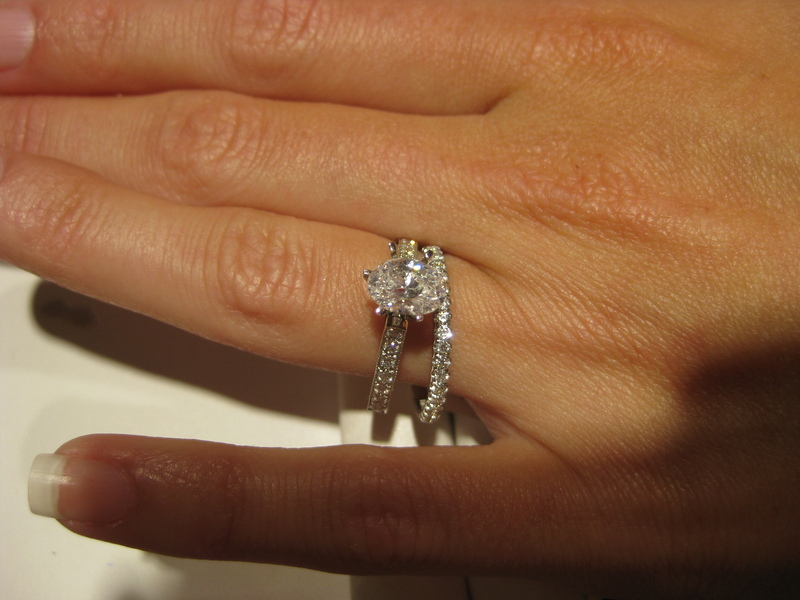 Reese Witherspoon’s 4 carat Ashoka diamond set in a micropave band. Designed by Willam Goldberg and is estimated to cost around $250,000. Another top pick by me!! 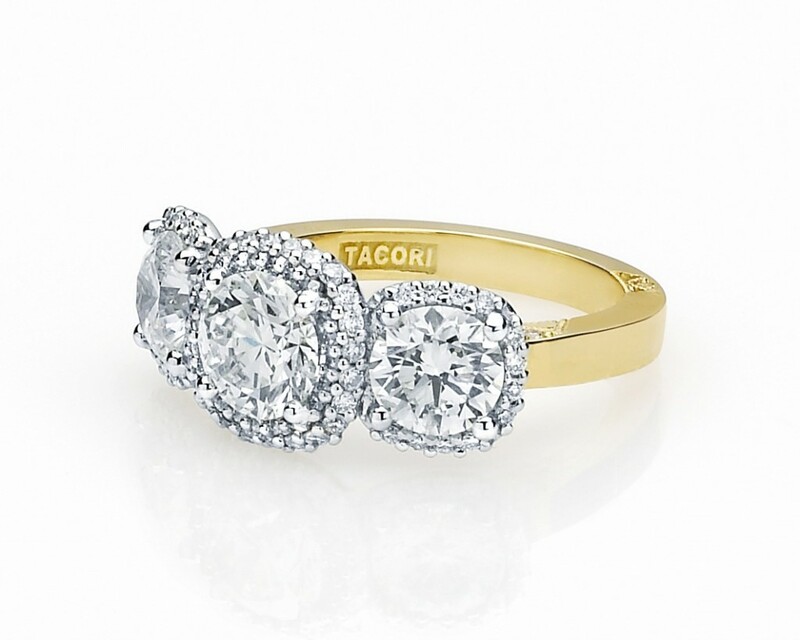 Nikki Reed’s 3 carat, 3 stone Tacori engagement ring. Fun and bohemian! Brilliant antique, conflict-free diamond in pave setting set in recycled platinum. Designed by Jamie Wolf. Such a cool looking ring! 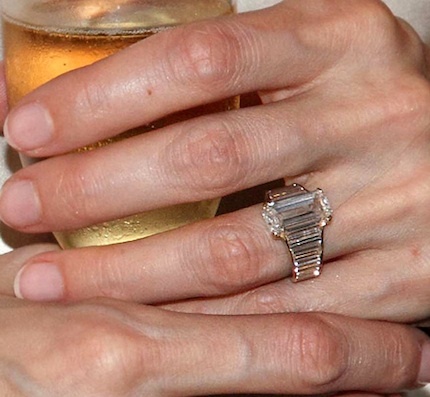 Kate Hudson’s 9 carat emerald cut with tapered baguettes set in platinum. Estimated to be worth $200,000. Classic and all about that center stone! So what rings are your favorite? I love Heidi Klum’s the most – the yellow gold with canary diamond is just stunning, really. I also really really love Reese Witherspoon’s and Gwyneth Paltrow’s but they are all beautiful and unique in their own way! 1. So I would have realistic expectations of what I was getting. I learned to. 2. He wanted to be 100% certain I was going to love it forever. And I do. Fair enough. 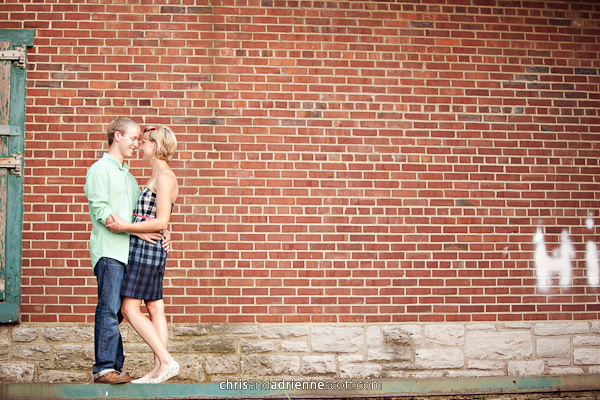 Add to it – I was DYING to look, so I was perfectly happy to oblige him. We shopped around for about 4 months. We went to multiple cities – Atlanta, Birmingham, Tuscaloosa, and Auburn. We looked at dozens of diamonds. I tried on a plethora of settings. 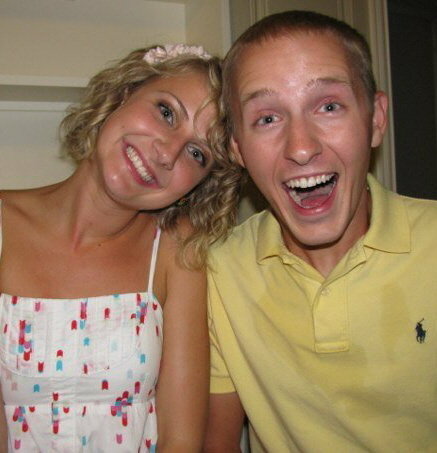 By September (2010), I was exhausted and so was he. BUT we found the ONE and we definitely bonded over the whole experience. 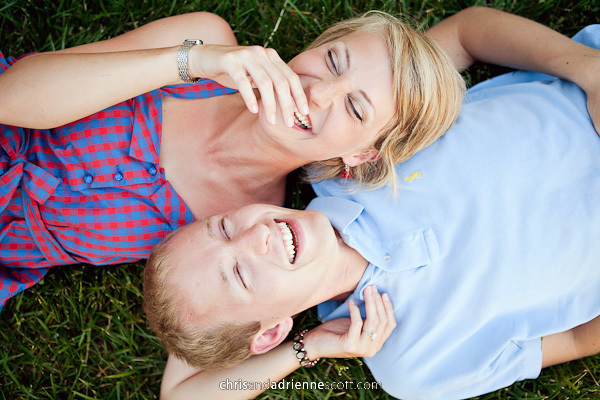 It got us both very excited about one day getting married. Below are some rings I tried on during the process. Oval – loved it, needed more flair than just a solitaire. Definitely loved the diamond band with it. This was a 1.25 ct diamond. Basket setting – way too bulky for me. Corey hated it! 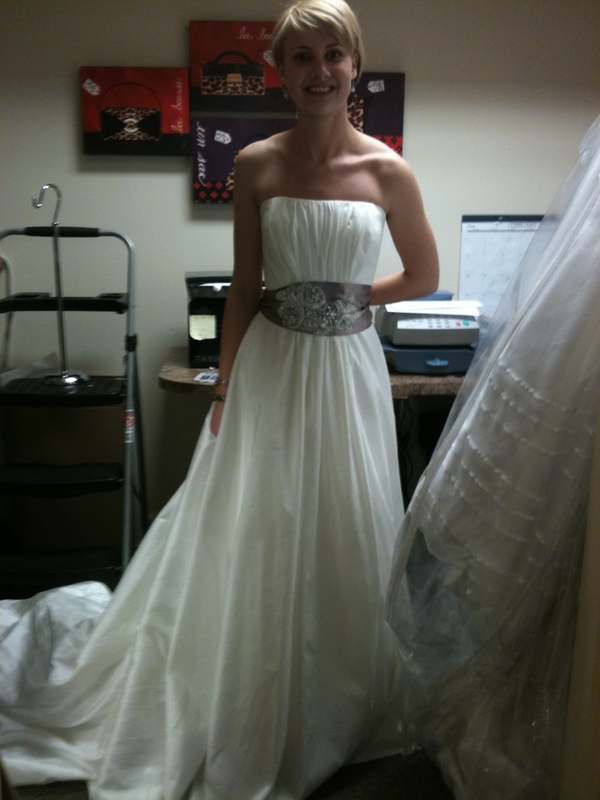 But I loved the halo around it around where the center stone should be. 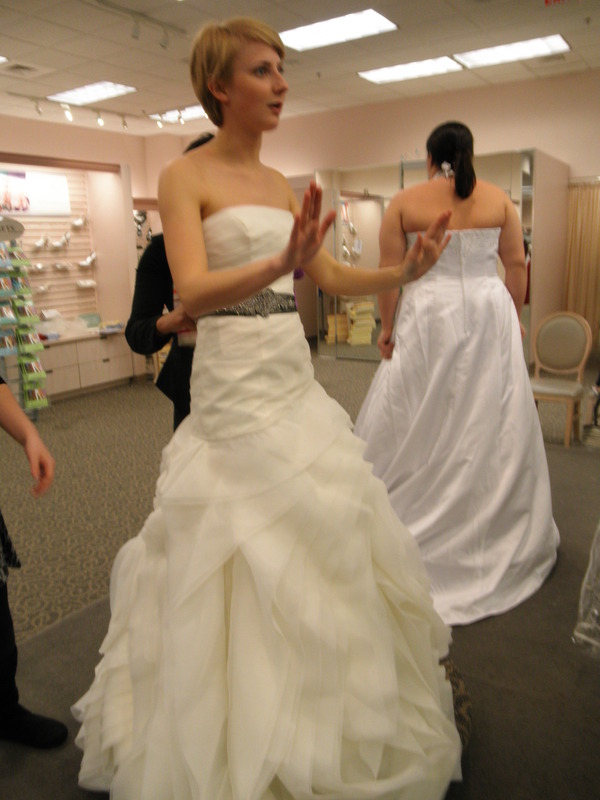 Split shank setting – too much emphasis on setting, didn’t like round cut as much. In all the shopping, we drew a few conclusions.